Flying FPV is a very sharable experience. YouTube and Facebook are packed with race laps and freestyle edits from all kinds of locations and skill levels. What do all of these video producers have in common? A drone-mounted HD action camera, of course. 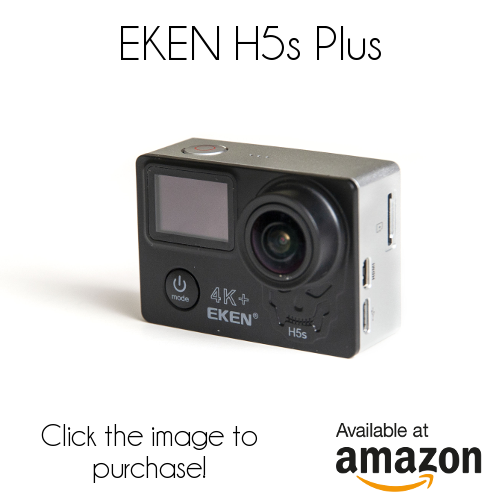 Eken sent us their latest H5s Plus camera to review, hoping pilots will want to choose it over the competition, especially as fan-favorite GoPro Session cameras are no longer widely available and pilots look for alternatives. 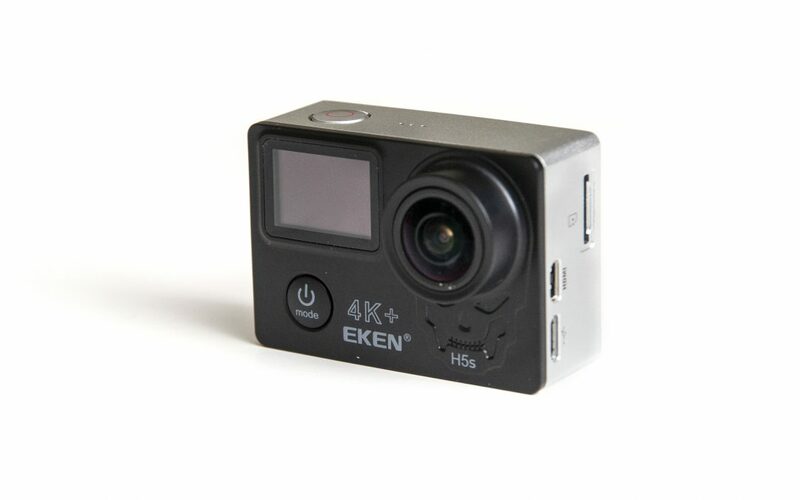 There are plenty of other reviews on this camera floating around, so we’re going to focus on using the camera for on-quad footage and ground-based B-roll at racing events. There’s also a plastic base on the box that accepts the detachable helmet mounts, which is part of the camera’s packaging. With a little ingenuity, this could be attached to something as well and give you an extra base. A quick preface here: Eken says a “U3”-class card is required. They didn’t send one, though—and we didn’t purchase one just for this review. 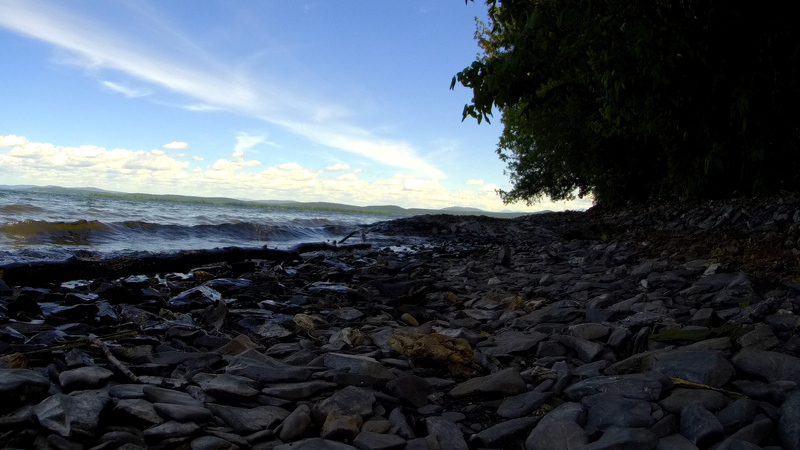 (GoPro often throws in a card when you buy online.) Many other cameras record just fine on a class 10 (U1) card, so we didn’t see any reason why the Eken should need a higher write speed while operating at the same bit rates. Our H5s Plus didn’t appear to have any trouble recording in 4K with a class 10 (U1) card, but we can’t definitively say this didn’t affect the results. Eken also says only 32- and 64GB cards are supported. Ours recorded just fine on a 16GB card we had on hand. The camera is pretty straightforward. There are only three buttons: power, WiFi, and recording. The power button doubles as a mode button on short press. The menus are pretty easy to navigate and understand, though it takes a moment to realize that video and photo recording aren’t menu items at all; the menu items labeled that way are for playback. You can navigate with the mode and shutter buttons so the touchscreen isn’t strictly necessary, but it does make using the camera easier if you have access to it—the touch function is worthless with the clear housing on. The touchscreen appears to give you some amount of exposure control that’s impossible without it. Whether using the buttons or touch, the menus aren’t super responsive. It’s not awful, but don’t expect to fly through the menu to change a single setting in just a couple of seconds; you need to make sure each touch/press registers,one at a time. There are a few gestures on the touchscreen that make setting up the camera faster once you learn them, such as swiping in from the bottom of the screen for a quick resolution and exposure change menu. One more annoying quirk: when recording if the screen has gone off, the first press of the record button only seems to wake it back up; it takes a second press to actually stop recording. Eken’s app asks for an extensive amount of permissions. Most of this seems legitimate, but without a clear reason to access my browser history and call details, I decided not to continue beyond this point. The on-screen display is okay, too—but it’s not immediately obvious what everything means. The video icon looks a little like a battery, and it turns half-empty and red (like a dead battery icon might) when you’re recording. On the front screen, you need to watch the time counter to know if the camera is recording—Eken seems to have left the standard blinking LED indicator out of this particular design. Once you start really using it, this isn’t so bad—it only takes a few minutes to figure it all out, really. But, I handed the camera to someone and asked them to get a few shots during my race; they didn’t end up capturing anything at all because they didn’t understand the camera’s status. One issue I had was that the camera usually wouldn’t recognize the card I had in it when it powered on. Ejecting and re-inserting the card made it behave, but that can mean moving the camera out of position and having to open up the housing. This seemed to be specific to the card I was using most of the time, as the few other cards I tried didn’t cause the issue to appear. Every so often, the camera bumps over to a new file. Sometimes the Eken handled this transition seamlessly without any dropped frames; other times, there was a definite gap. Sometimes this was consistently every five minutes. Other times, the clips were as short as about 30 seconds. When you record a video, a second file is also saved. This file is also a video in a much lower resolution and is never smaller than 20MB. It might be related to the camera’s playback function, but I’m not sure. The second file is hidden, which means you won’t see it in your file manager unless you’ve changed settings on your computer that allow this. 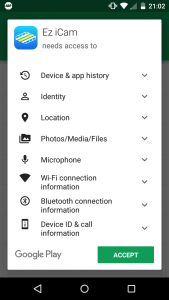 These files will slowly take up space on your card and reduce the space you have available unless you un-hide and delete them or reformat, so be aware. The date/time resets whenever you remove the battery, as do many of the camera’s settings. Get used to this happening, because the battery lasts about an hour. Getting two batteries with the camera is nice, but it means you’ll swap them in the field—so you won’t leave one in that preserves the settings. If you use Eken’s app, connecting to it will set your camera’s time and date, which is nice. Pixel peepers aren’t going to be satisfied. Focus was fine, and dynamic range is par for the course on a budget action camera, but I expected less noise and visible artifacts. Particularly poor are the lower resolutions, where you would expect super-sampling from the available sensor pixels to be used to improve image quality. Instead, you get an overall picture that’s actually worse than full 4K mode. 1080P is especially bad. This is a disappointment, to say the least, as it means getting a clear picture at 1080 requires shooting higher-res video, (at about double the file size,) then having your video editing software downsample it. 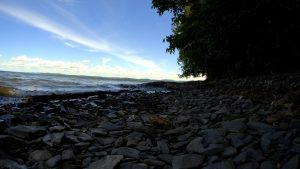 The auto-exposure algorithms were generally okay, but occasionally chose something way off and stubbornly stuck with it. Use the exposure adjustments at your own risk; At +2.0EV, most of the picture just blows out entirely. Here’s a collection of footage from many different testing scenarios, but keep in mind that YouTube’s processing algorithms mask some of the larger issues. Still, if uploading to YouTube is what you’ll be doing primarily, this is a pretty good indicator of what you’ll get. Samples not processed by YouTube are provided further down. When taking a photo, there are no reduced-resolution options. Though there is a menu for this, the only choice on it is 4000×3000. This shows the camera contains a 4:3 aspect sensor, though all of the available video modes are 16:9. 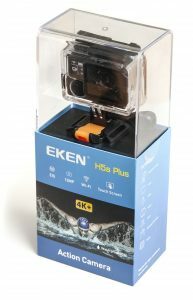 Eken touts their image stabilization (EIS) as a major feature. 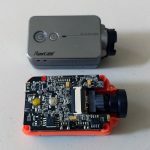 Stabilization is achieved through image processing, not through physical/optical means; it’s probably for the best that a budget action camera doesn’t contain moving parts. There’s a cropping of the image when EIS is on, but the amount of cropping isn’t too strong and it probably won’t bother many FPV pilots. Here are some frame captures from each of the Eken’s quality settings. These are captured from a video recording. 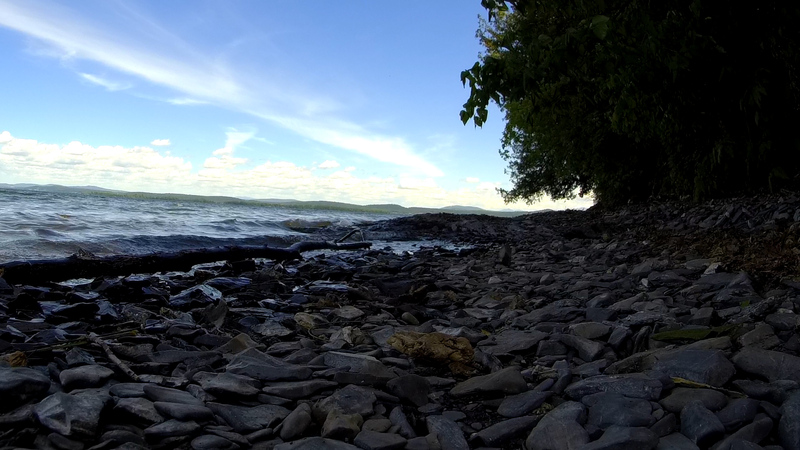 For comparison, there’s also a 1080P frame grab from a Runcam2. Select a link to view a full-frame capture at each of the H5s’ resolution settings. Some areas to look at to help you compare: amount of detail where the image becomes full-white and full-black (horizon and tree shadows), noise in flat-color spaces (sky), detail in complex areas (tree leaves), image smoothness (rocks). At times, the camera appeared record the sound very quietly. This would happen even in the middle of a series of clips at the same location. I never pinpointed the cause of this. 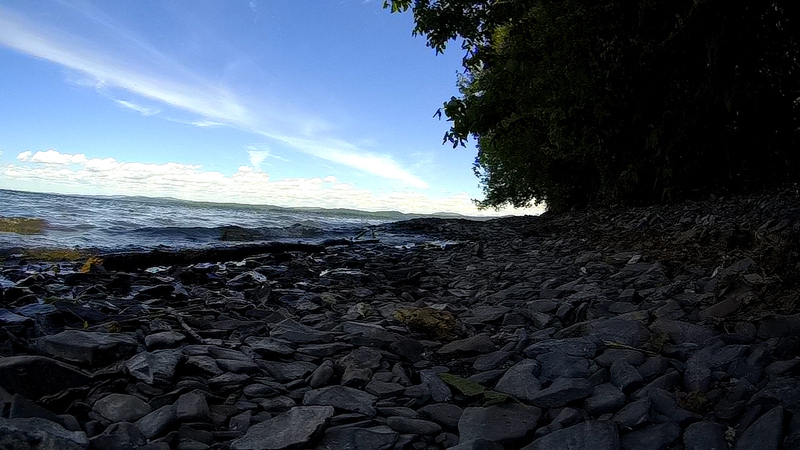 Action cameras aren’t great at taking on-course shots of racing. 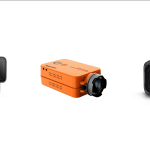 This isn’t unique to the Eken—all of these cameras are designed to be very close to the action, and work best that way. Wide-angle lenses (170° in this case) mean that individual objects are smaller in the frame. Quads beyond about 20ft away are quickly reduced to specks. You really have to position the camera somewhere you expect action to be—such as at the start line or right next to a gate—and hope that something interesting happens there. When using the camera hand-held, (with the included tripod folded down into “handle mode”,) EIS didn’t do enough to produce a smooth shot. 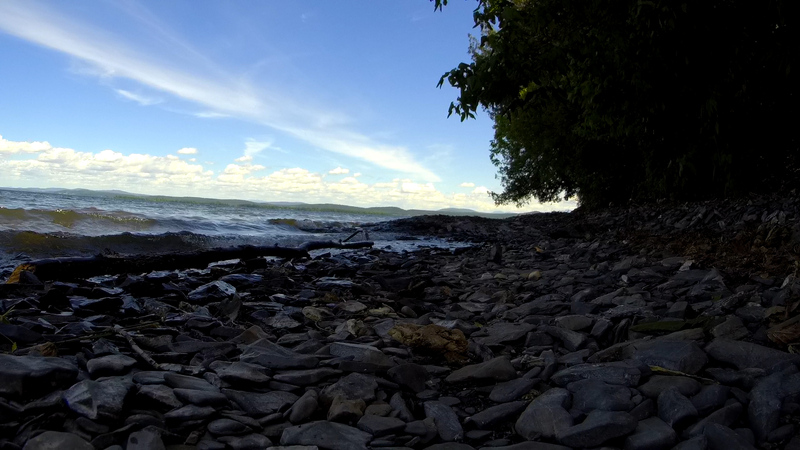 I was able to make use of some of that footage only by using post-processing to clean it up. On the ground, the sound is okay. Most of the audio track will be wind, and you’ll hear quads as they go by. The closer you get to the action, the more usable the sound from the quad passes will be. The audio will probably need some processing but if you don’t have a lot of wind it should be usable. 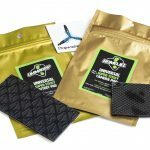 If you’re filming micro quad racing, things get a little easier. Micro racing is slower-paced, so quads stay in shot longer. You’re also much more free to get your cameras up close into the action. The Eken’s array of mounting options included in the box certainly help you get it into better locations—though a gorillapod-style tripod might be the missing tool you need to get it just right. Eken’s H5s Plus is not the lightest action camera you can mount on a quad. It’s just over 100g with the battery and MicroSD card. The clear protective housing and mounting hardware will add another 75g to that, if you decide to use them. I expect a freestyle pilot will not mind so much, but a racer will think twice about that much added weight. 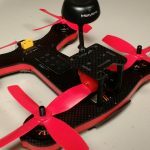 (A 5″ race quad these days can dry-weight under 250g.) Not using the housing saves a lot of that weight, but the camera almost invites damage to the lens if you leave it unprotected. The non-replaceable lens protrudes from the front of the camera and will definitely be the first casualty in a crash. To my eyes, the camera worked better in flight with stabilization turned off. The stabilization algorithm would lock on and hold the picture in place, causing the video to stutter as the picture locked and released continuously whenever I was making a turn. 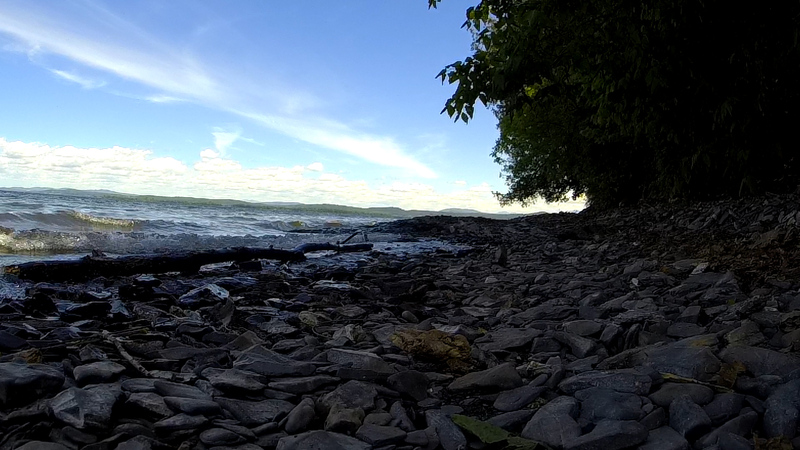 There may be a bit more vibration in the un-stabilized video, but it’s honestly hard to tell. Does this packaging look familiar? The H5s’ ability to capture flight sound was underwhelming as well. Once airborne, there’s a constant scratching/scraping sound that indicates signal clipping—in other words, it can’t cope with the sheer volume of noise produced and the recorded sound is heavily distorted. 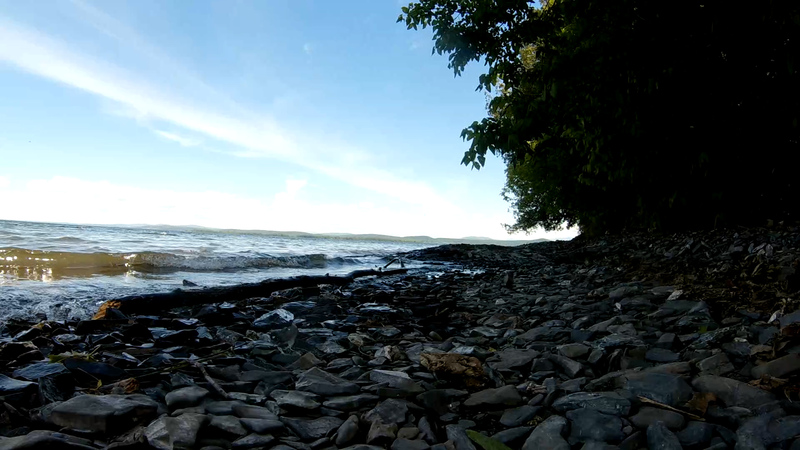 The result is pretty awful—though it does fare a tiny bit better than the Runcam2. The Eken H5s Plus is a good camera. You get a 4K/30-capable video recorder for less than a quarter the price of a new HERO6 Black. The accessories are welcome: particularly the mounting hardware, extra battery, and standalone 2-battery charger—all things you’d have to buy separately with most other cameras. After the standout features, the Eken starts to run out of steam when set against its competition for a place atop your drone. Most scenarios that pilots will encounter require light weight, great 1080P footage, top-notch image stabilization, and a great form factor that’s easily mounted to a quad. These are all areas Eken has chosen to compromise in so they could boost other qualities and keep the low price. This doesn’t make it a bad camera—there are lots of other scenarios where it would produce an excellent result—but it simply doesn’t fit the usage profile of a typical quad pilot. If you’re looking for a good all-around camera for many activities, the H5s may well be worth a look. 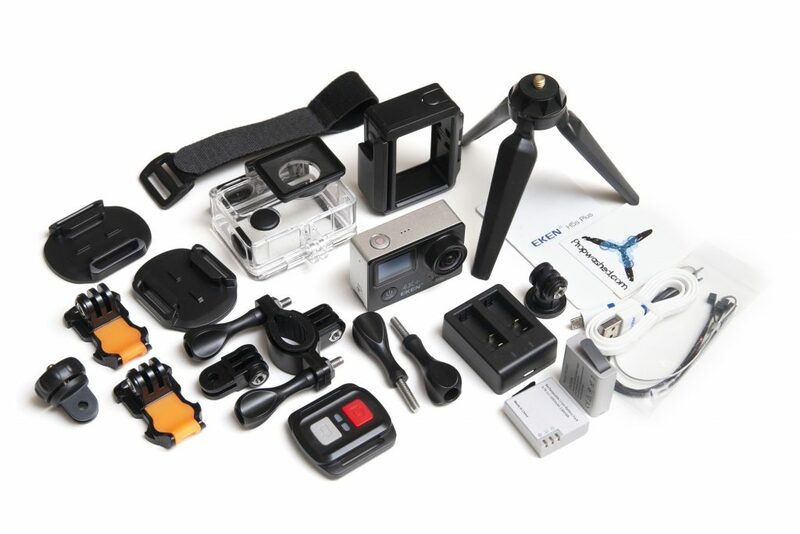 If you’re looking for a new action camera specifically for flying, our drone action camera buyer’s guide will give you a good overview of what’s available and help steer you toward one that’s in line with your needs. But it does have a skull on it. Take that, GoPro. Is the DJI Mavic or GoPro Karma worth it?